Pat Ahern is a partner at Junto, a Denver-based content marketing and web development agency that is powered by top-vetted freelancers from around the world. Outside of work, Pat loves rock climbing, traveling, craft beers, and coffee. You can learn more about him by visiting his personal website. Follow him on Twitter @PatAhern1. 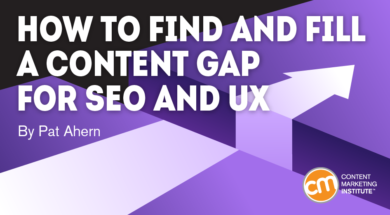 In marketing, developing ideas and creating content can’t be accomplished successfully without deliberately incorporating both user and SEO experience. From finding the topics where you can craft in-demand content to optimizing your finished article, you need a detailed process. Here’s how our agency does it.